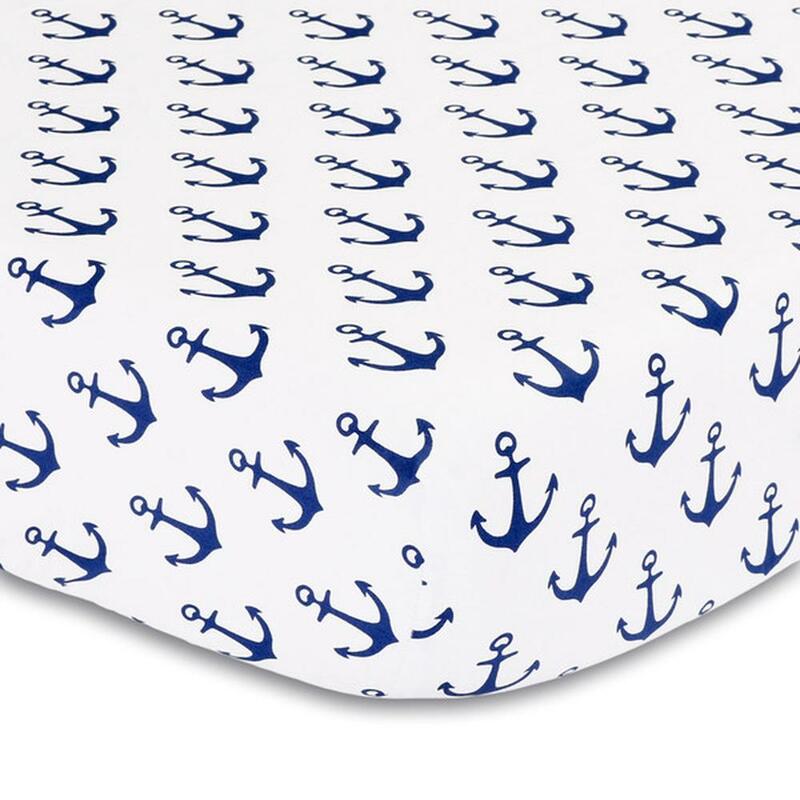 This Peanut Shell Cotton Fitted cot Sheet is a stylish addition to your baby's nursery. 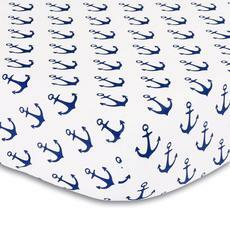 It's made of soft 100% cotton sateen fabric with a contemporary design featuring a navy anchor print. Coordinating items available to create your perfect nursery. Dimensions: Fits standard Cot mattress. 132 x 71 x 20cm.